The desire for a fix is such a powerful thing that it can cause those suffering from addiction to do things they otherwise wouldn’t, including stealing from a friend or family member. Addicts will do just about anything to get their hands on drugs in order to experience their next high. For those of us on the other side of the table, it can be devastating to find out a loved one is taking advantage of you. However, this could be a great opportunity to confront your friend or family member about their addiction problem and address it head-on. 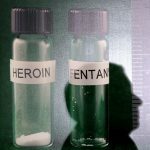 In the end, a bad situation could be used to ultimately get them the help they need to break free from substance abuse. For many, addiction begins as something else. For instance, an injury could lead to a doctor prescribing opioids or other pain medications to combat pain or soreness. 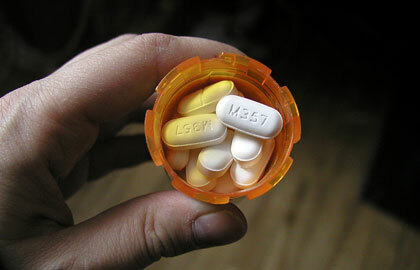 Some who begin taking opioids due to an injury can become addicted. Eventually, their prescription runs out and they can no longer get that high they need so they resort to other means such as buying illegally. But this can be costly. In order to get the money they need to buy drugs, addicts turn to stealing. Surprisingly, this is not uncommon. People you have trusted for years may betray you just to get a fix. Addiction changes people, and it will change the people you love and trust. Unfortunately, stealing from family and friends can even lead to bigger crimes such as burglary, forgery, or even selling drugs themselves for money. If you begin to suspect a family or friend of a drug problem and think they may be stealing, it could be time to confront them about their substance abuse. Look for signs such as failure to meet responsibilities at home or at work, choosing drug use over hobbies, social problems, or inability to cut out or stop all drug use. Stealing and drug use can often go hand in hand. Casually experimenting with drugs in social settings can lead to a full blown, out of control problem. Statistics show that drugs play a role in committing crimes. In fact, 18% of federal inmates and 17% of state prisoners report committing a crime in order to get money to fund their drug habit. The top three crimes committed for drug money were car theft, robbery, and larceny. Other statistics state that 25% of arrests involved marijuana while 15% involved cocaine. Methamphetamines were associated with almost 30% of car thefts while cocaine addiction led to 22% of larceny crimes committed. These stats are only self-reported stats. If you include all drug-related crimes, the numbers would increase to 63% of larceny associated with drug use, 50% of burglaries are drug-related, and 68% of car thefts stemmed from drug addiction. This goes to show that people under the influence of drugs truly are desperate and will do just about anything to get the money they need to fund their drug use. Friends or family members are often embarrassed by their behavior and will come up with excuses to try to cover their tracks. “I forgot to ask” is one of the most common excuses. Other excuses include “I didn’t think you would mind”, “I did ask. Don’t you remember?”, “I was going to repay you”, and “I would let you borrow money if you needed to”. Remember, addiction has such a stronghold over your loved ones that they don’t think before they act. Confronting them about stealing and offering to get them the help they need is a great first step. Your heart may be breaking for those you love suffering from addiction, and you may be wondering what you can do to help. Instead of lashing out, which could your first instinct, remember that addiction is debilitating. The first step is to approach your family member or friend one out of concern and love. Approaching them when they have been caught in the act of stealing could make them more vulnerable to admitting they have a problem and need to seek help. Getting someone to admit they have a problem is half the battle. However, don’t approach them if they are under the influence. They are not in the right state of mind to discuss their addiction problem and may not remember the conversation later. When the time is right, communicate your concerns with your loved one as positively as possible. Those who suffer from substance abuse tend to get defensive if they feel they are being attacked. Express your love and concern for them but avoid using blaming language. The best conversations are those that are supportive and encouraging. Offer your support for them throughout the entire recovery process. The best approached are to speak with kindness, love, encouragement, and concern. Avoid confrontation, judgment, or blame if possible. If your loved one is ready to get help, there are many resources available to help them overcome addiction. Choose a treatment program that will best fit their needs, whether it is 30-day or 90-day inpatient or outpatient treatment. Most treatment programs include beneficial services such as individual therapy, group counseling, medical maintenance, and aftercare planning. Separating your loved one from the temptation to use drugs or steal by getting away from tempting environments can be very beneficial. If you are unsure what treatment program is right, reach out to the experts at Summer Sky. We will be happy to discuss all options with you. While addiction may affect your loved one, it can also affect you as well. Dealing with an addict can be emotionally and mentally draining. Remember to take care of yourself as well. Do what you can to increase relaxation and decrease anxiety or depression. You can’t care for your friend or family member if you’re not first caring for yourself. Yoga, meditation, reading a book, attending therapy sessions, or finding solace with friends and family members are all ways to practice self-care. If you are struggling with how to approach a family member who is stealing from you to support a drug habit, Summer Sky can help. Reach out today. We are happy to answer any questions you may have.